Looking To Move Within The City? You’ve saved your pennies and now you can finally buy that dream home just across town. Let Spaces Storage be a part of that special day by offering affordable moving and storage solutions that won’t break the bank. Our experienced staff is waiting to take your call and help you plan your next move. We will drop as many vaults as you need right off to your front door. You pack them at your own pace and when you are ready we will transfer the portable storage vaults to your new home. You can take your time unpacking and organizing and when you are finished we will remove the vaults. Need Storage While You Travel? Are you someone that likes to travel frequently? Perhaps you like to travel abroad or to multiple cities? We can help you with all of your travel needs by offering an inexpensive secure way to store your belongings while you are away. 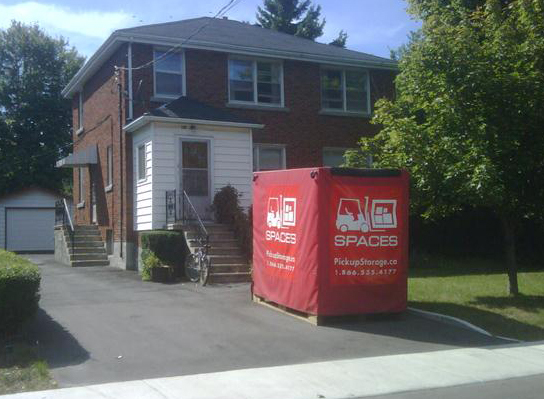 Simply fill one or more of our portable storage containers right at your property. We will remove the container once you are finished and place it at our secure facility. Need A Spot For Your Office Furniture While You Renovate Your Office Space? Our portable storage solution is not only designed to handle residential moving and storage, it is a brilliant affordable solution for any business owners needing extra storage space. We can deliver our secure portable storage container to your office, warehouse or loading dock. You can leave our containers on site or have us remove them once they are full. Our storage solutions are perfect for keeping on site and storing office furniture, supplies, and files during renovations or while remodeling. We are the experts in short-term and long-term storage and moving solutions. Call us today and speak to one of our friendly experienced representatives and find out how we can help you with your storage and moving needs.